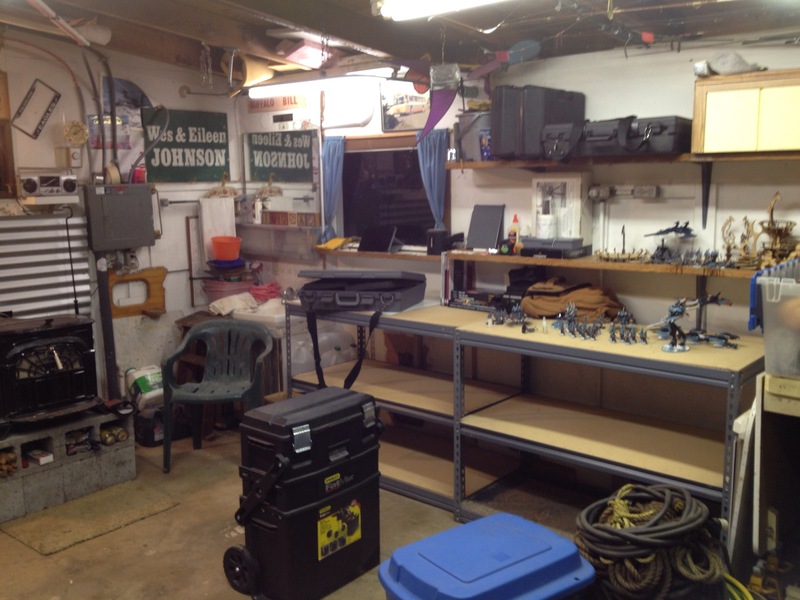 I spent part of the holidays cleaning my garage. Making it into a gaming space as well. I installed a cheap and heavily used wood stove to keep the space warm. And now I’m trying to get some stuff put away on shelves. Soon I’ll figure out a gaming table. … But for now I’m stuck with going through boxes and finding places for things. I unpacked my wraith wall army from this past OFCC. 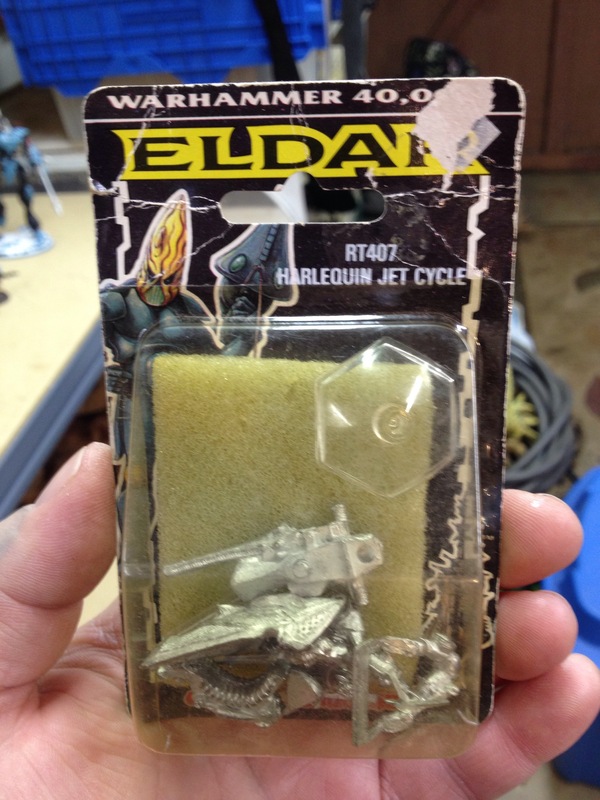 I recently picked up the newer style wraithguard on eBay.. So soon I’ll be repainting and replacing the old style with the new style figures. 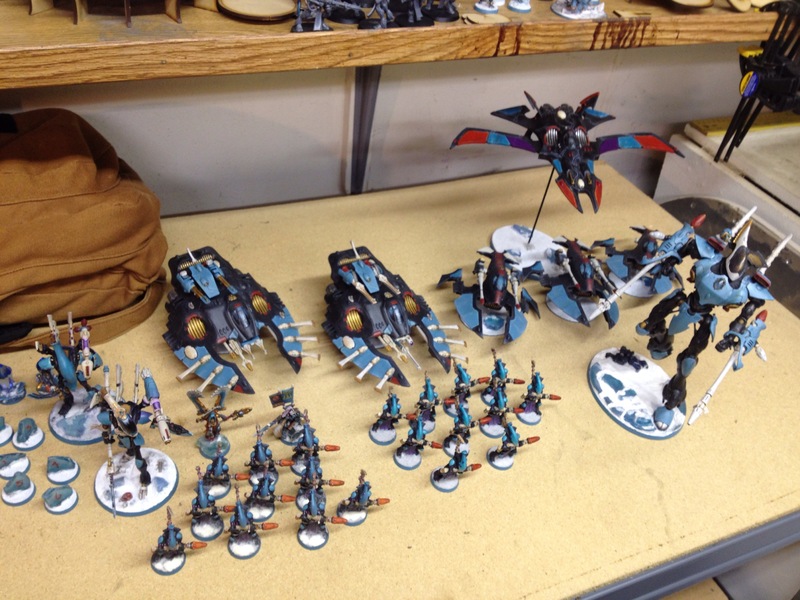 I’m thinking I’ll be selling off the old painted wraithguard to help cover the cost of the new additions.